April 9: 5 POWER Lessons From 5 Leaders Who Made History On This DAY! We certainly know that experience is the key to deeply understand a lesson, no matter how it was learned. But, to be able to prevent as much failure as possible in your future experiences, we bring to you, the lessons from great leaders born this day, whose experiences are sure to help you with yours. There are millions of multifaceted personalities who focus on so many different professions and lines by giving their 100% in all that they undertake. Many of us wonder how every stream can be focused completely like the only stream that is taken up for work. It is definitely not easy and at same time, it not at all difficult too. It all depends on one’s mindset. If you are firm and wish to excel, there is no doubt in you turning into a versatile achiever. Put forth your efforts onto the work by forgetting the rest until you finish that task. In this way, you can give equal importance to all your tasks and prove yourself in multiple domains. 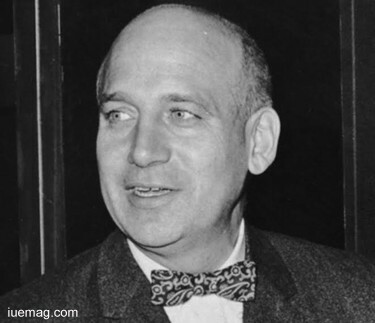 Sir Victor Gollancz, a British publisher, humanitarian, doer, Christian Socialist and Internationalist focused on liberalism and communism. He promoted internationalism and his ethic of brotherly love had the power to convert hatred into love. He took major steps that would define and take his policies forward. He founded the organization called Save Europe Now (SEN) which supported the suffered German civilians and children. 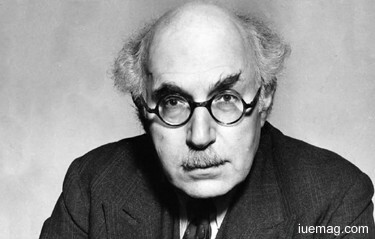 Receiving the honorary doctorate at the University of Frankfurt, he made his publishing house as a tool to campaign pacifist and socialist non-fiction, and also launched the Left Book Club, the first book club in the UK. Expanding his skills, he learnt marketing and exercised a lot of strategies that would elevate his business and make it as success. You remember the name your father, you will also remember your grandfather’s name. You may remember your great grandfather’s name. Do you remember the name of all your ancestors? But we all remember the great leaders, freedom fighters and several achievers. Why so? The reason is that these achievers have created an inspiring history. Their contributions, achievements and immortal track that they have laid have kept them alive even after their death physically. This is called success! After all, succeeding is the main goal which we all set and dream to achieve. John Presper Eckert, Jr was an American electrical engineer and computer pioneer who invented the first general-purpose electronic digital computer (ENIAC). Presenting the first course in computing topics, he founded the Eckert–Mauchly Computer Corporation, and designed the first commercial computer in the U.S., the UNIVAC. His foresightedness and quality of work enabled him to become an award-winning co-inventor of the first general purpose digital computer. Receiving several patents, he has also won the National Medal of Science. He has lived life in such a way in which his life as a whole itself has created a legacy and has aligned a pathway for all of us to follow. Never forget that, what you do when you are physically present on this planet helps you stay alive in the heart of this world forever. Each of us is born engineers when it comes to paving our path towards success. We have the capabilities and wisdom in demonstrating our facts and realizing them to complete our journey of life. When all of us have immense potential why should we wait for some other external source or agency to frame our lives and take them in the path of success. Suppose you’ve got to plan up strategies and create a game plan to win the race in which you are participating. You will definitely work towards it and plan in such a way that you would definitely become a winner. Life is also a race! You got to cultivate ideas and found a way to analyze your journey to success. 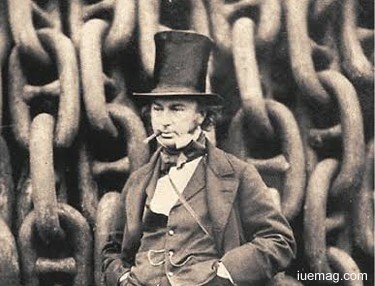 Considered "one of the most ingenious and prolific figures in engineering history,” Isambard Kingdom Brunel was an English mechanical and civil engineer. He had prodigiously carved his knowledge domain and reinforced his position in the Industrial Revolution. He signed the world with breathtaking designs and ingenious constructions. He modeled not only buildings but also his skills to attain the height he wanted to. this creator indeed changed the entire face of the English landscape. Brunel constructed the Great Western Railway, a series of steamships including the first propeller-driven transatlantic steamship and many. His change driving ideas revolutionized transport system and modern engineering. The role of a leader is misinterpreted by a lot of us. It is not just dominating, monitoring and commanding. It is an abstract which can only be felt. The divinity filled in it becomes the reason for the up-liftment of the needy. A leader’s ideas drive in wave which empowers the world. A leader teaches, cares, helps, shares, guides and always strengthens his people. The purpose and contentment can be designed and achieved when you are not just guided but also kept track of. Not everything can be taught; some things have to be learnt by observation and experience. Leader is the one who serves as a university to learn from. 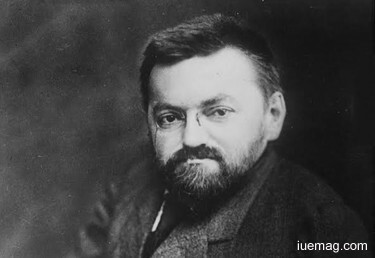 Charles Proteus Steinmetz behaved as a responsible leader who helped the society attain all that is needed through his adorable technical knowledge and skills. He was indeed a reason for the development of the alternating current which broadened the spectrum of the electric power industry the German-born American mathematician and electrical engineer and professor fostered a formulation of many mathematical theories for engineers. His high level understanding qualities and knowledge-generating skills allowed him to improvise the life style of the world by using technology as a weapon to drive the change. If you are an achiever then definitely you would n=know the secrets for achieving. Then share them with the entire world for making it a point for the whole worked to succeed. Success is the treasure and the clues to hunt it shall be given by the ones who have already tasted success. You got to empower the world, motivate it and influence it through inspiration in order to drive the society and increase optimism. Positivism has the power to neutralize the negativities and establish the vibrations which support progress. Your journey up the ladder shall be the consequence of not how the impact of an achiever’s life affects the normal ideas of the people. Share the world with the logics which help a magical spell of success to designate your life. 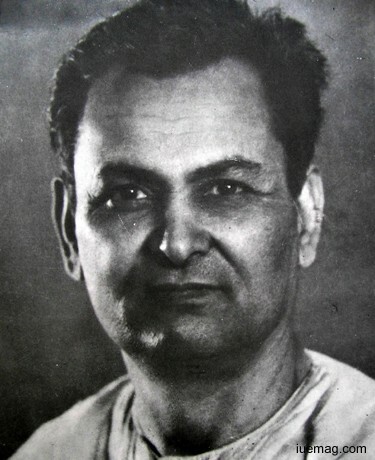 Called the Father of Hindi Travelogue Travel literature, Mahapandit Rahul Sankrityayan , he played a pivotal role to give travelogue a literary form. His prolific and undistorted focus enabled him to set his life as a reservoir of inspiration. The Indian nationalist gained ample number of wards and appreciations which includes the civilian honor of the Padma Bhushan. He utilized his blessedness to overcome the deficiency of high quality formal education and he learnt languages independently. Conclusion: Start your day by implementing all that you learned by every read over an inspirational article. Question yourself as to why have you got up and what have you got to fulfill for the day and do it without fail. This helps you succeed.